Mizuki Fukumura:Ayumi and I wore these heart-shaped sunglasses while filming the MV, and during the breaks, we talked about people living in the 60s! We also tried to mimic the people living in Ginza using the props from the shoot. Haruna Iikubo:Maria dressed up a man and did the “Kabe-Don” (wall slam) which is famous in Japan. She had to stay really still when she did it, but I got embarrassed and started laughing so we had to re-take that scene. Ayumi Ishida: I was a fan of Maria and Kaede who dressed up as males! When Maria was filming, everyone cheered her on, saying “You look so cool!” and when she looked at us with a super-confident smile, my heart skipped a beat! Mizuki Fukumura: I did feel pressure being the leader during our 20th anniversary. Whenever I want the team to get hyped up, I put in extra effort and say “Let’s do this!” — it gets us all charged up! Haruna Iikubo: I feel like it was fate to be able to participate in such a milestone. I want to always stay aware of the connections created by the members before me and the ones I will create for the future. Ayumi Ishida: Morning Musume。was formed in 1997. I was born in 1997. Honestly, it feels surreal to be part of a group that is the same age as me. I learned a lot, got a lot of advice, and cried and laughed a lot before becoming an adult. 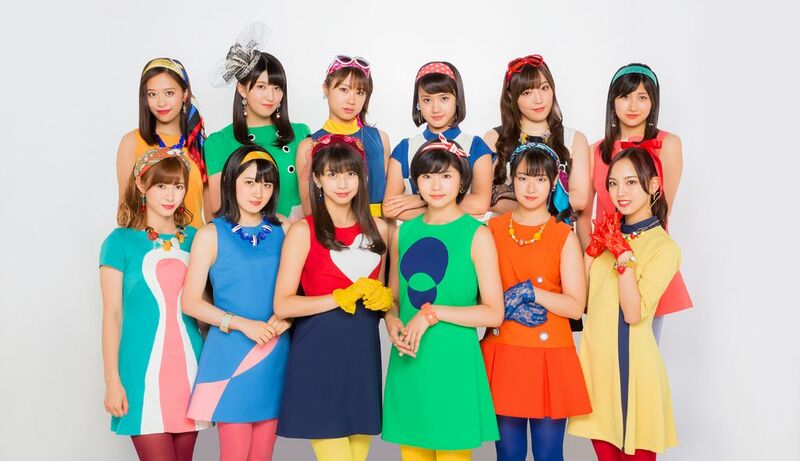 Morning Musume。also matured with the help of our fans. Our 20th anniversary is a passage point. I want to try my best to make a mark in the group’s history! Mizuki Fukumura: I really enjoyed eating New York cheesecake, so I definitely want to try it again! Also, steak for sure! Haruna Iikubo:When I visited 4 years ago, I really liked the cheesecake, so I want to eat that again! Ayumi Ishida:Eggs Benedict! It’s considered a fancy breakfast food and it’s really popular in Japan. I tried it once at Sarabeth’s (a New York style restaurant in Japan), and it was delicious, but I want to try the authentic taste. Mizuki Fukumura::I have so many memories of laughing together with Harunan! She always makes us laugh, she is considered the “Sanma-san” (famous Japanese comedian) of Morning Musume。! Haruna Iikubo: It’s not really a memory, but concerts are my most fun activity. Not just in Japan, but all over the world. During the concerts, I always feel grateful that I was able to come here. Ayumi Ishida: I remember doing “rui-katsu” (purposely crying by watching sad movies to release stress) together. We watched movies like Doraemon, Summer Wars, and The Garden of Words and cried a lot. She makes me feel safe enough to cry together. Mizuki Fukumura: Our 20th year was last year, and we’re getting ready to start our 22nd year, but I think this is where we really start! Please keep supporting us through our 22nd year! Haruna Iikubo: My dream goal is to go around the world and see all the scenery, so I will definitely come back to America for vacation! Even after I graduate, I want to try my best to continue seeing everyone, so please keep supporting me! Ayumi Ishida: I’m really bad at English… but so many Morning Musume。fans learn Japanese and understand the lyrics. I truly appreciate all the love and dedication. I’m really confident about my sharp dance skills so I would love to for you to see them live! I’m really excited to see you all!